We can create, host, and maintain sites with Dreamweaver, and other popular web design programs. We can design a site so that you can maintain it with your favorite program, or we can handle all the maintenance for you. 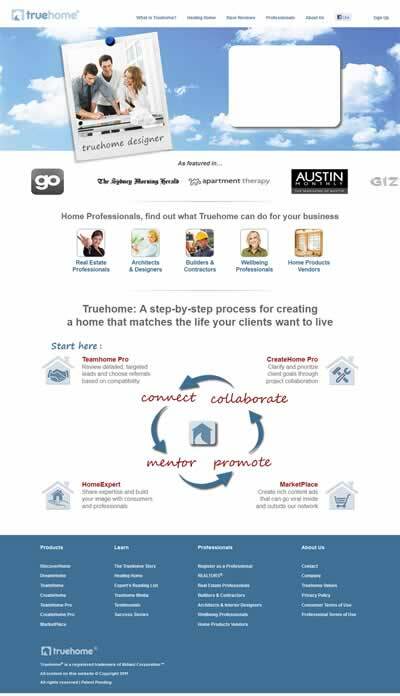 Here's a sampling of our client sites. 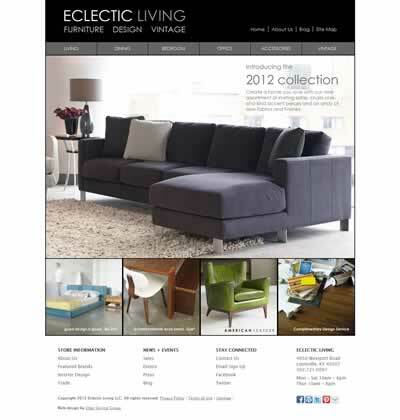 Eclectic Living is a furniture store specializing in mid-century modern and transitional furniture and accessories. Although they don't sell furniture online, the website is build on a database-driven e-commerce platform to enable the store's staff to enter and update their products quickly and easily. The e-commerce system is by BigCommerce, with custom design work and front-end code by Udar. Udar is happy to provide any part of a project that you may require, whether it's the entire website, or just the graphic design, front-end coding, programming, site implementation, or maintenance. 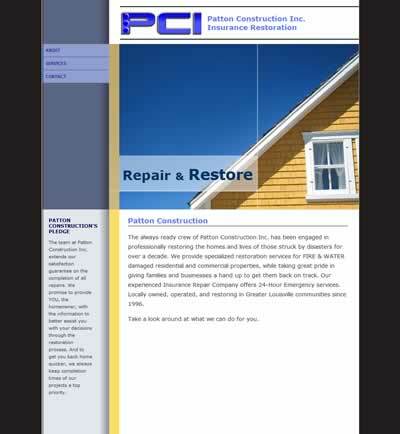 This is a small corporate brochure site for a building contractor specializing in insurance restoration. It provides a basic web presence and a foundation for future exapnsion. 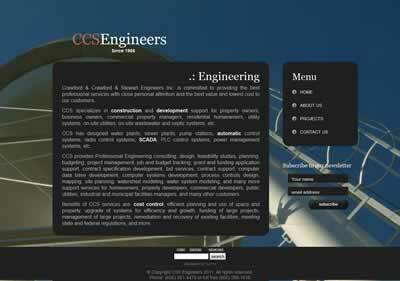 This website provides a web presence for CCS Engineers, a civil engineering firm in southern Kentucky. "Colonel Mel" is quite a character. 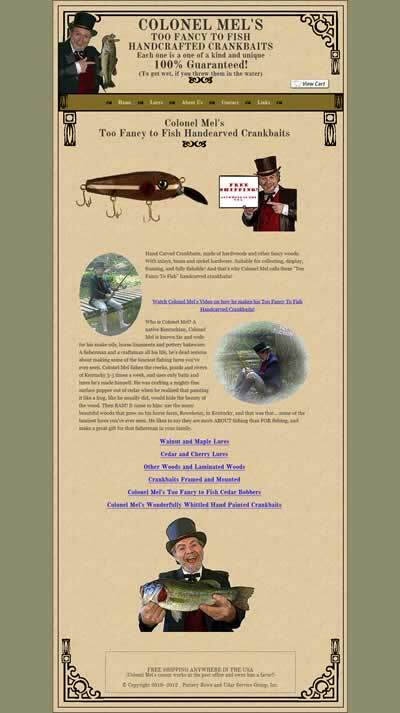 He adopts the persona of a turn-of-the-century patent medicine hawker to market his hand-made fishing lures. The design of his website reflects that theme. It's certainly not trendy web design, but it fits his style. Udar adapted Colonel Mel's rather excentric ideas and artwork to a modern web site. On the surface, it looks like an old medicine bottle label, but behind the scenes, it's standards-compliant HTML/CSS code. And Udar set things up so Colonel Mel can update the products himself (when he's not out fishing). 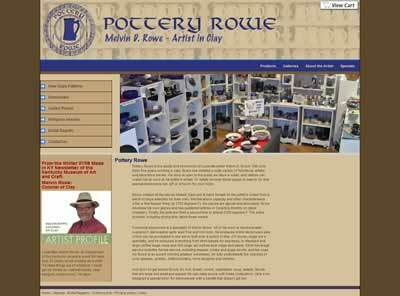 The Pottery Rowe site showcases the artist's production pottery work, and a variety of one-of-a-kind art pieces. The current site features a PayPal shopping cart as a simple and inexpensive e-commerce implementation. That has been very successful, so the site is currently being redesigned and expanded with a more robust e-commerce solution. 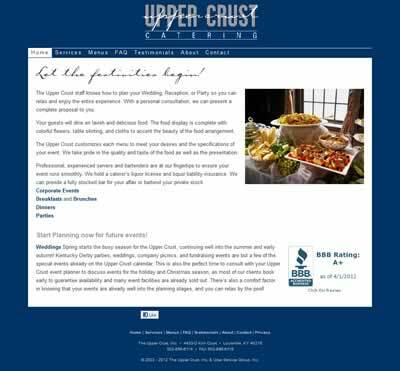 Upper Crust is a catering company that needed a web site to showcase their services and menus for brides, party planners, and other prospective clients. 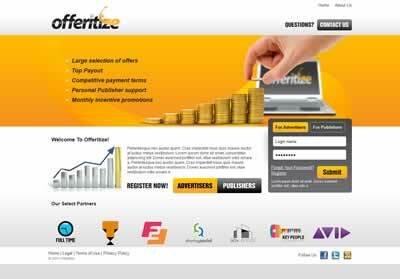 The site is designed to compliment their printed marketing materials with similar colors and fonts.